For customers that use their stoves intensively throughout the day, we have introduced kiln dried oak logs this year. Oak offers the longest burn of any of the hardwood species and burns extremely hot. For this reason, they are well suited if you are an experienced user or if you use your stove intensively and find you burn through logs fairly quickly. One of our crates of oak should last you much longer than our ash logs, off-setting the additional expense and making them much better value in terms of calorific content, due to the very high density of the wood. 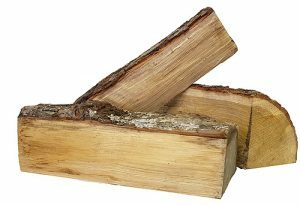 This is the reason oak logs weigh significantly more than birch or ash, even when dried down to the same level of moisture content. When building your fire with oak logs, make sure to use smaller pieces and have your stove burning well before introducing medium to larger pieces – oak will take longer to light and burn with a small flame, but once established will produce more heat, last longer and need far less tending to.